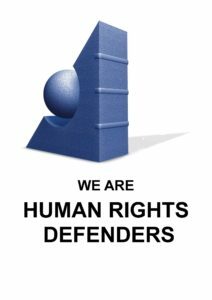 Defenders in the regions find it difficult to follow the UN negotiations and the trends in the HR-Council, the special procedures, the treaty bodies, and the action of OHCHR. Our Courses have to bridge these information gaps, to meet the needs and priorities of these defenders, and to enable them to adapt their work to these new realities. 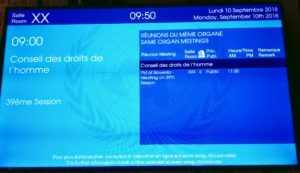 The 3-week ‘Training Courses on the Human Rights Council, international human rights and humanitarian law, international procedures and diplomacy’ (‘Geneva Courses‘) are conducted by GHR at each ordinary session of the Human Rights Council. What are the Geneva Courses ? The Geneva Courses are unique. Providing intensive and interactive training, they combine theory, working field experiences of the participants and the exposure to international human rights diplomacy. With its researchers, fellows and interns from a variety of universities, our Department of Human Rights Policy Studies (HPS) assists the trainees during the HR-Council’s session. Adrien-Claude Zoller has presented these Courses with different organisations since 1985. The outline and main objectives (needs from the regions; General Course and daily classes) were defined during the 1986 Course, organized with the OMCT. 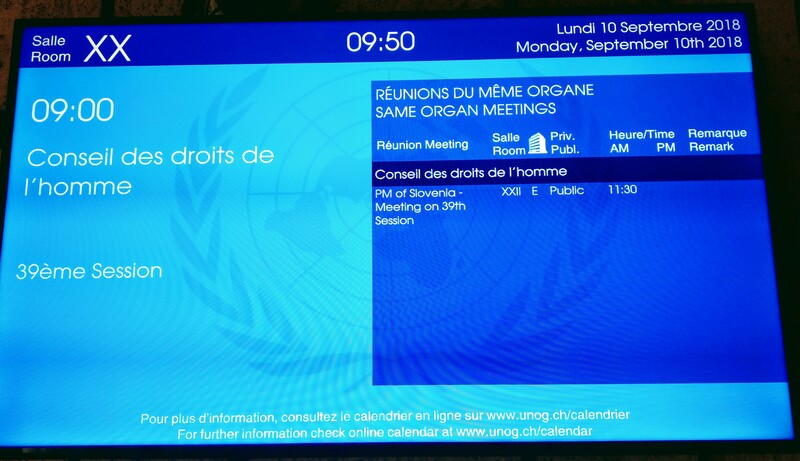 Since 2003 the Geneva Courses are conducted by GHR. With the creation of the HR-Council (2006), GHR elaborated specific teaching methods taking into consideration the new UN realities. The strategic objective of the Geneva Courses is to empower NGOs, defenders, coalitions and networks from the regions to participate fully in the HR-Council’s deliberations. Geneva Courses are advanced Courses to train trainers and therefore based on the realities in the field. The programme of each Course is tailored to the thematic needs and priorities of the participants. Moreover, to close the information gap of defenders in the regions, the Geneva Courses teach the new UN orientations (UN Reform process, dialogue and cooperation with the States, OHCHR priorities). The Courses start with a 2 to4 days General Course during the first week of the UN session to teach the basic elements of international law, the UN structure, mechanisms and procedures, and international relations. Then, during the entire session of the HR-Council, trainees participate indaily morning classes, to receive briefings on the main reports examined in the HR-Council and to analyze the debates and the main human rights issues. For each Course, HPS prepares a Documentation Kit for the trainees with all the relevant documents. Each trainee receives a list of assignments, which includes drafting a communication to a thematic procedure, writing several summaries of the debates in the HR-Council and summaries of the morning classes, and submitting a brief note with the main patterns of human rights abuses in their country. Most of the summaries and draft letters to the Special Rapporteurs are read out and discussed during the morning classes. During the Course, there are also weekly tests on the teaching of the previous week. This enables the trainers to monitor the progress made by the trainees. The trainers correct and mark the tests. Those with a negative mark in the second test receive additional briefings. The Geneva Courses for defenders from the regions are advanced Courses to train trainers. They are a unique intensive and interactive training, combining the theory, the exchanges of experience between participants (field situations) and the exposure to the multilateral reality (in the HR-Council), which the trainees monitor. Since its creation, GHR has realized this Course at each session of the Commission on Human Rights and its Sub-Commission, at sessions of the Economic and Social Council (ECOSOC), and at regular sessions of the HR-Council. the daily morning classes (Week-2), every day, to introduce the themes of the day on the agenda of the HR-Council and the reports of OHCHR’ and Special Rapporteurs submitted to the HR-Council; and to analyze the debates in the HR-Council; every afternoon, the trainees attend the session of the HR-Council. To obtain the Course’s certificate, trainees have to submit a note on the main patterns of human rights abuses in their country; several summaries of the debates in the HR-Council; summaries of the morning classes; and a draft communication to a UN thematic procedure on a case of grave human rights abuses. Many summaries and draft letters to the Special Rapporteurs are read out, discussed and improved during the morning classes. The trainees also stand weekly tests on the teaching of the previous week. This helps the trainers to ensure that their teaching is well understood, and to monitor the level of each trainee. It incites participants to review the Course and read several reports. Those getting an insufficient mark in the first test receive additional (separate) briefings from the trainers. As in previous years, all GHR trainers worked pro bono. 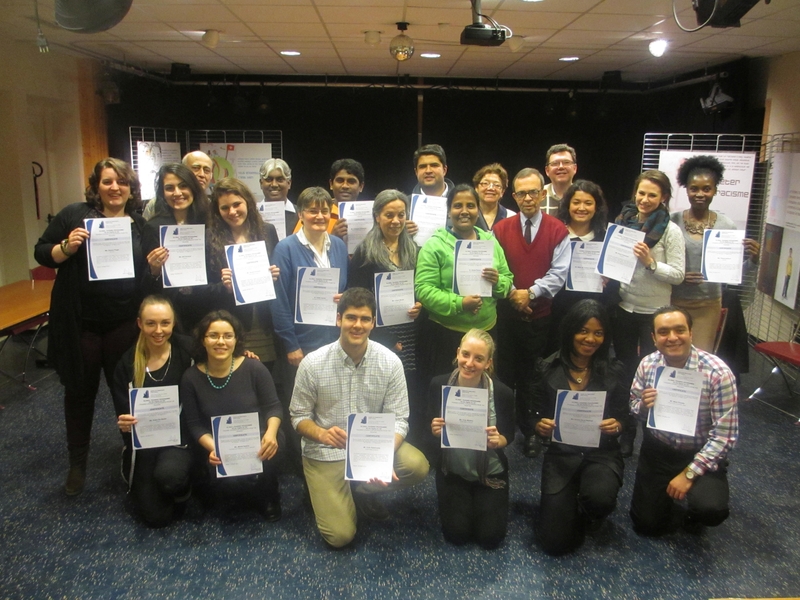 For the three Geneva Courses of 2015, the two full-time trainers were Edward Flynn(Ireland, Vivat International) and Adrien-Claude Zoller (Switzerland, GHR). Four other experts lectured during these courses: Ms. Danica Finger(Germany), René Kosirnik (Switzerland), Ruki Fernando (Sri Lanka), and Rogier Huizenga (the Netherlands, IPU).